Get familiar with the provincial tenant legislation and understand your obligations and rights. Find your local trades before you need them. Create the property plan of action before firming up your offer and ensure the right people are in place to execute that plan effectively. Accept and embrace the fact that you cannot be a “one man show". Systems are something that very few people talk about. Many of the “gurus” point to how important it is to have a team, but very few talk about the systems needed to create said team and continue to grow. CRM -- waiting lists and wish lists, current opportunities, current leads etc. It’s mid-October and temperatures are dropping. Your tenant is scheduled to move out at the end of the month and you don’t have a single applicant in sight. 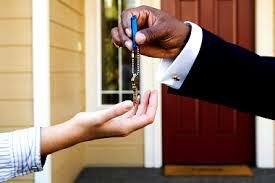 To attract tenants, you decide to relax your ‘normal’ requirements and reduce the rent or skip the credit check. While the costs of carrying a vacant property are high, they are nothing compared to the stress of non-payment of rent, damage to property and frustrating tribunal hearings. Have three months of expenses tucked away in case of a vacancy. This reserve should be contributed to monthly, and should be a part of your initial financial calculations. Have your ads ready and posted when you receive notice. Have a waiting list of pre-qualified prospects ready to call. Ask your tenants and the neighbours for referrals and reward them for a successful applicant. Get creative and stand out. This article was originally published in the October/November 2014 issue of CREW.